There are few things more exciting than bringing home a new puppy. Here are a few tips from us to you to help make your new addition feel as comfortable as possible. Puppies love to chew which is natural because they are teething. New parents may want to puppy proof the house to keep the pup from chewing on something unexpected that can cause him or her harm. It is a good idea to cover and contain any cords that are accessible to your new pup. There are a few house plants that may be mildly poisonous to puppies and there are others can that can be fatal. Calla lilies, Aloe plants, and Jade are all examples of common house plants that can make your pup sick. Investing in a heavier trash can with a lid will also prevent a curious pup from knocking over the trash. Spoiling your puppy with a few favorite chew toys is a great way to distract him/her from chewing on household items. Shopping for your puppy is extremely exciting while it's hard to resist the fun collars, leashes and chew toys for your pup there are a few practical items to remember as well. You may want to pick up child gates if there is an area in your home you feel at ease containing your pup in when you're not able to provide hands on supervision. Following are a few additional items to think about when developing that checklist; a crate, a pillow pad, potty training pads, treats, a poop scooper, food, and bowls along with all sorts of various toys. We recommend toys that are not stuffed with fluff, it is important to remember a teething puppy can rip open a stuffed animal or toy and the stuffing can then pose as a choking hazard. If your puppy is playing with stuffed toys, it's very important to provide supervision. 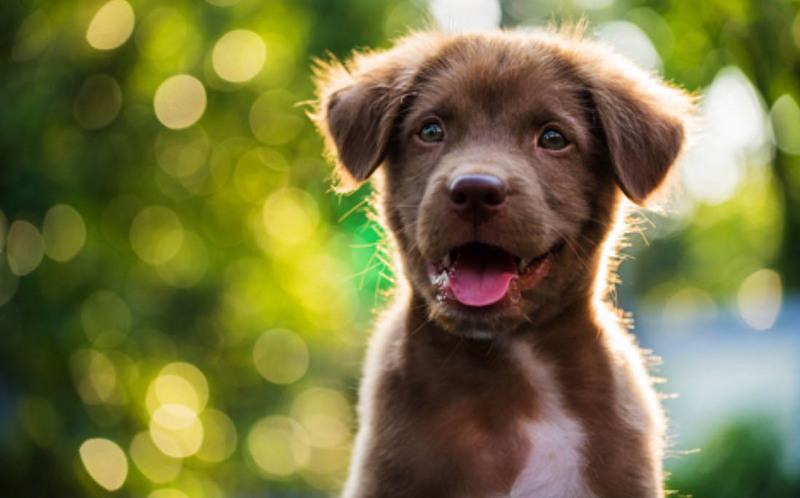 While a pup does not enjoy getting their puppy shots, there are a few essential vaccinations that will help protect him/her from canine distemper and canine parvovirus. Both diseases can be fatal for, so proper, timely vaccinations are incredibly important. Owners may also have a need for dog neutering or spaying, and we can take care of those procedures here at Tender Care Animal Hospital, as well. Doing so earlier is much healthier for your pup than later. There are few behaviors that may suggest your puppy can benefit from puppy school. Following are a few behaviors to note that puppy obedience school can assist you in teaching your pup. Does not come when called. Jumps on friends or guests. Steals food or other items from countertops. Barks and lunges at other people or other animals. Chews furniture and/or clothes destructively. Has accidents often in the house. Many of these behaviors are common early in a puppy's life, so starting a training program at a young age is a great way to stop unwanted behaviors before they become more ingrained as they grow out of the puppy phase. Remember we are here to help and offer quality puppy obedience training options for your new pup. While your pup won't need full grooming services for a while, if they get into mud or just need a bath and nail clipping we are here to help. Call Tender Care in Morton at 309-266-1182 or Tender Care in Peoria at 309-243-1755 to schedule an appointment. Bringing home a new puppy is very exciting, and here at Tender Care Animal Hospital we can help make that transition easier, offering everything from medical attention to puppy training to dog grooming services. Anything a new owner may need for a pet, we're to help. In the meantime, anybody with a young puppy in their home should enjoy them while they can. They won't stay that small forever and we look forward to meeting your pup.